Today I want to get caught up on the Photo 101 prompts. I don’t usually get this far in monthly ‘challenges’ to myself so in the interest of not cheating and skipping any prompts here are the two I missed. 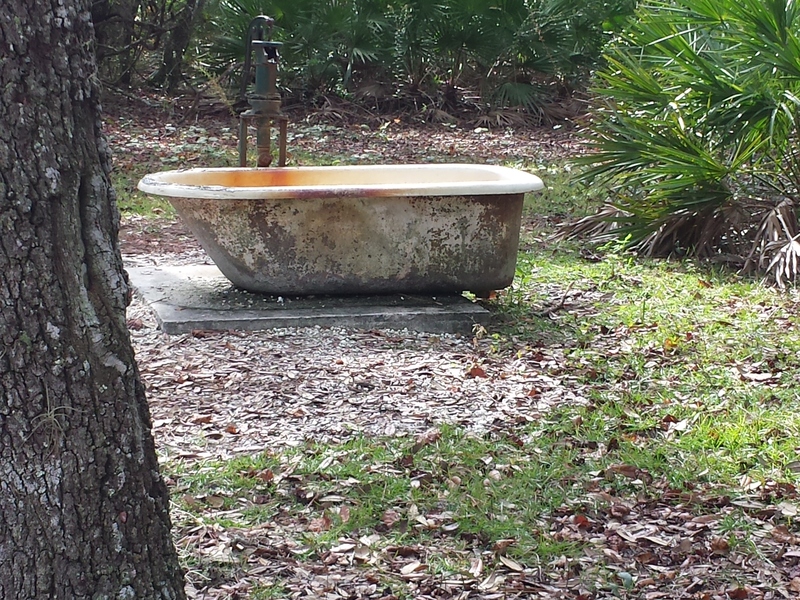 After you walk a little bit into the woods across the way from my neighborhood you run into this bathtub with a working well pump in the middle of a clearing. There are a couple of picnic tables there too. It really threw us for a loop for a while but we used it as our landmark to tell family how far we were going to go. Meet you at the tub! We figured out after going for a while that this is a spot where a lot of people camp with horses and the tub is for watering the horses. Not as good as the initial mystery but still pretty cool. I took my lunch time walk in a different direction Friday and since it was a somewhat shadowy walk I looked for places the sun shone through the trees on an area. I didn’t quite catch what I wanted but I still like the pictures. And the multiple pictures gave me a chance to try out the whole gallery thing. Kind of neat. How would you picture warmth? Would it be something like my pictures or would you go for something that portrayed warmth as an emotion? Maybe something else entirely?